With the wide variety of viruses, hackers, and threats lurking on the Internet, you need more than an antivirus program to keep your data secure online. After recent news of the massive Heartbleed computer bug and other large-scale hack attacks, personal VPNs are now earning their spot as the third security leg – along with antivirus and firewall — that is vital to everyday computer security. Most people are familiar with antivirus software, which automatically checks for virus updates and keeps your protection up-to-date. And many personal computer operating systems include firewalls to protect against threats from the public Internet. The problem is that antivirus and firewalls won’t protect your personal communications in WiFi hotspots. That’s where a personal VPN comes in. With a VPN, your information is secured and privatized across the Internet, protected from anyone who tries to intercept it. While a VPN, a firewall, and antivirus software are all essential tools, a VPN is arguably the most important security component. If a virus infects your computer and you don’t use a firewall and someone accesses your files, it’s certainly a headache to fix and requires time and money. But if a hacker steals your identity because you’re not using a VPN when accessing a public WiFi network, it could cost thousands of dollars and years of effort to restore and safeguard your identity. Plus, the nightmare that is identity theft can wreck your credit score. Damages from not using a VPN far outweigh the risks of the other two combined. Recently, the head of Europol’s cybercrime center warned businesses and individuals not to send sensitive information over public WiFi networks due to huge spikes in WiFi hacking in Europe.This echoes an earlier recommendation from the Wi-Fi Alliance, the leading global industry association devoted to WiFi connectivity. The organization has said 82% of WiFi hotspot users do not protect their communications, leaving these users vulnerable to having their personal information intercepted. Cornell University researchers have also determined that HTTPS does not prevent third parties from finding out which websites you’re visiting. HTTPS allows online retailers and banks to provide secure transactions. The technology behind HTTPS is called SSL, which creates an encrypted link between the website and your browser that is supposed to ensure data passed between you and the website is private. But even those “secure” walls around HTTPS are crumbling quickly. Between Europol’s warning and Cornell’s research, it’s surprising that so many people choose to work without a VPN. 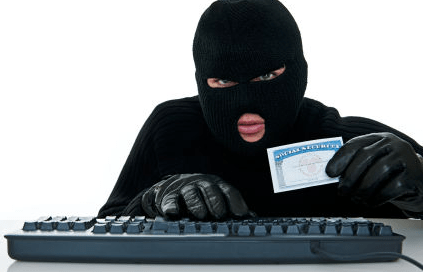 Once a cyber crook gets hold of your name, Social Security number, and other personal details related to your online activity, it is easy to become an identity theft victim. Anyone, at any time, can become a victim. According to news from the Pew Research Center, 18% of online adults have had personal info stolen and the number keeps growing. Perhaps worst of all, many are not aware they have been victimized and continue to access hotspots at public locations without any knowledge of what they’re broadcasting to the bad guys. Another key to outsmarting hackers is to turn off file sharing in public WiFi hotspots. If you have file sharing turned on once you connect to a hub-based WiFi network, your folders and files can be accessed by anyone else in the same network. Before you use another WiFi hotspot, turn off file sharing. Select Network and Internet > Network Sharing Center > Change advanced sharing settings. Turn off the options for network discovery, file and print sharing, and public folder sharing for public networks. Ensure that the File Sharing option is not enabled. If it is enabled (if File Sharing has a checkmark next to it), uncheck it. While a VPN like PRIVATE WiFi is a important security component when using a public WiFi network, remember that it’s just one leg of a three-prong approach to keeping you safe online. About the Author: Kent Lawson is the founder and CEO of Private Communications Corporation and creator of its flagship software PRIVATE WiFi. In 2010, after 12 years of retirement, Kent became interested in Internet privacy and security issues and the vulnerability of wireless communications in WiFi hotspots. He created Private Communications Corporation to protect consumers and corporations from privacy and security breaches on the Internet. PRIVATE WiFi, the company’s first product, protects individuals and business people while using laptops and other mobile devices at public WiFi hotspots. Follow Kent on Google+ and Twitter. Hello…I hate to post this here, but I can’t find any contact info elsewhere. My masked emails are not being forwarded. I was going to sign up for a premium account…but this feature doesn’t work correctly. Can you contact me and see what the problem might be? It is a while since you posted your plea, has it been resolved yet? If you are using the MaskMe extension/add-on for your browser, open the MaskMe page by clicking on the Toolbar button. Click on the word ‘Help’ in the options bar at the top of the page. Once the new page opens, under the “Have feedback for us?” text, you will see a button which has the label: “Contact Support”. Click on this and you will get a message form which you can use to send messages to Abine. Hopefully Abine’s replies will find their way to your protected Inbox! If not, Abine Support at abine.com offer email support and “live chat”, which, I suppose, is some sort of text messaging between your computer and Abine.